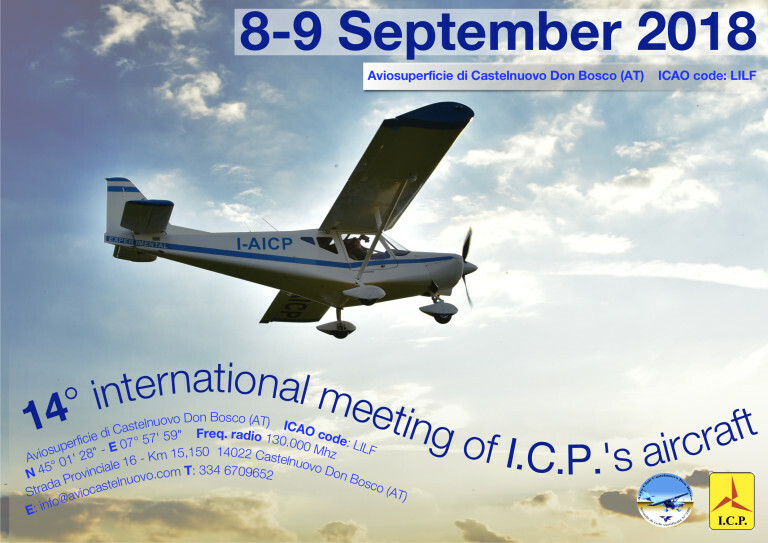 August, 2018 | ICP AVIAZIONE S.R.L. 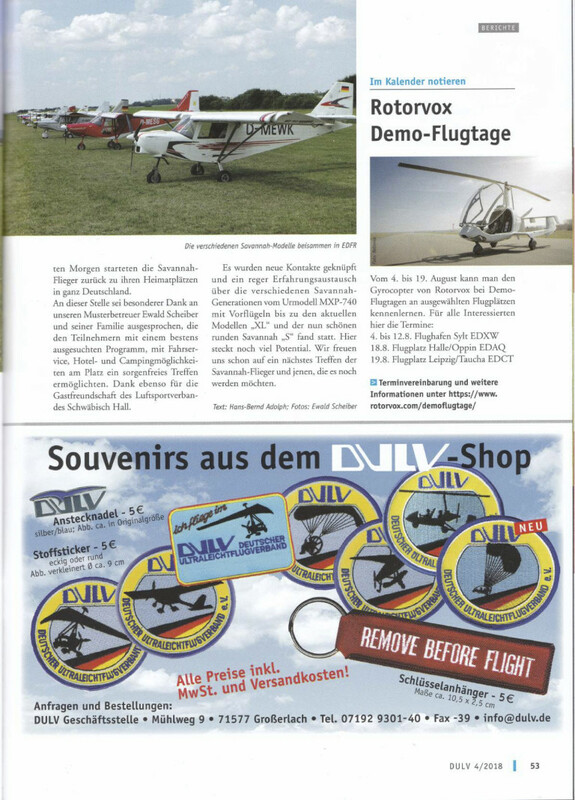 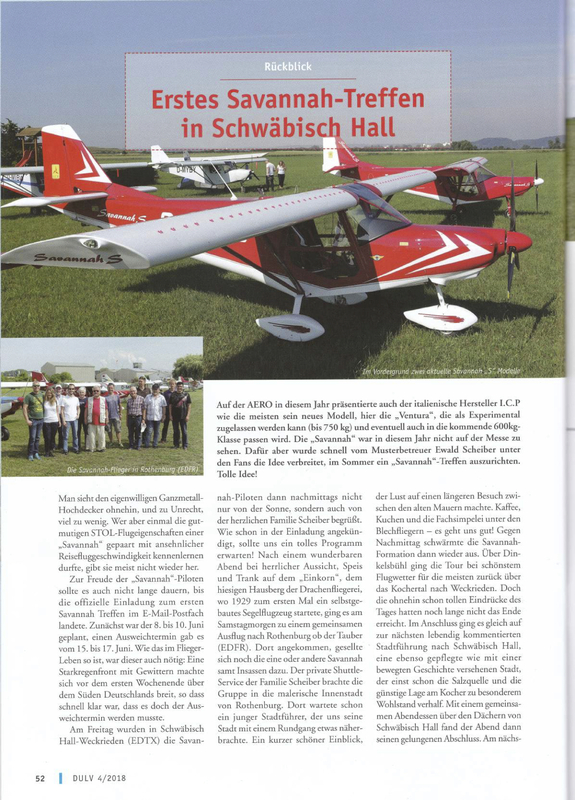 Article appeared in the German magazine DULV with a short report of the “Savannah-Treffen” organized by our German dealer, held in June. 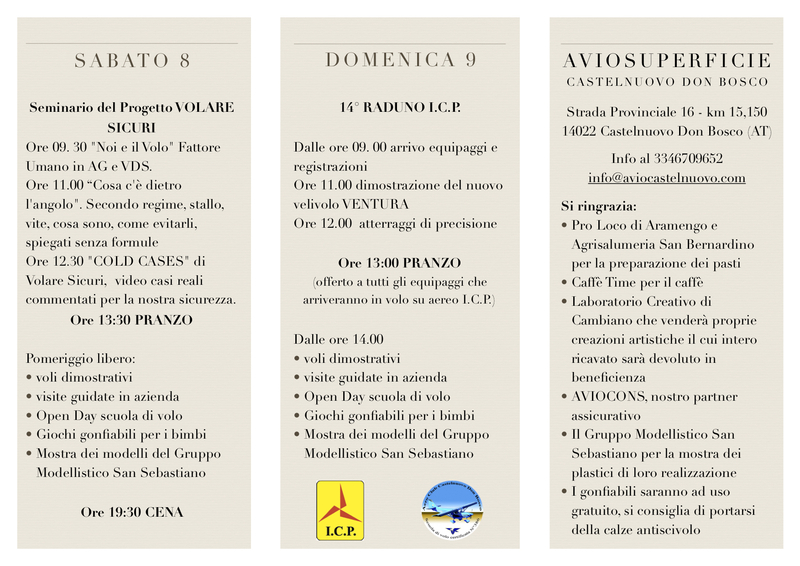 We inform our customers that we will be closed for holidays from August 11th to August 26th inclusive.